When it comes to readers and credentials, you need reliable products that you can count on. With Farpointe, you get that—and a whole lot more! Marketing is key to building and expanding your business. But it’s crucial to understand what that means. 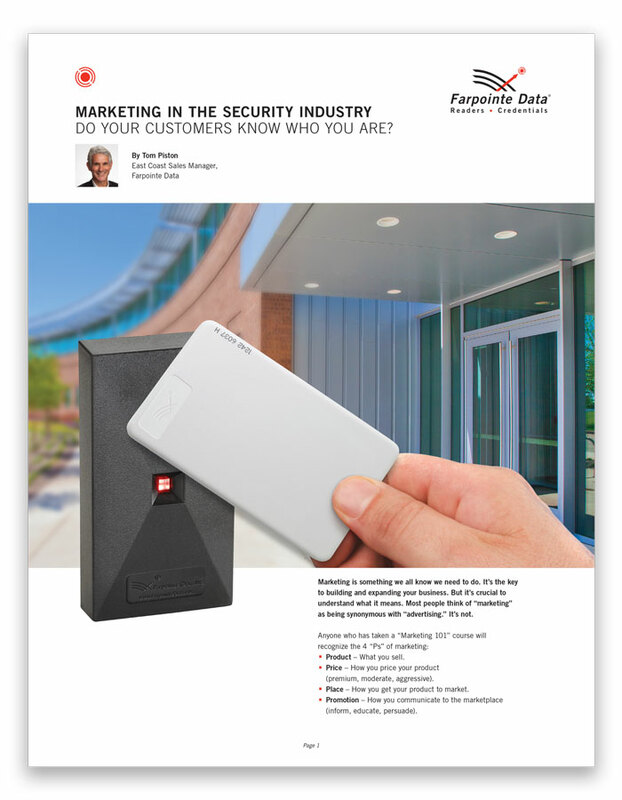 To help access control integrators with their marketing efforts, Farpointe put together this brief guide on the importance of brand awareness, differentiation, communicating value and more.